Would The Steinbrenners Really Sell The Yankees? Perhaps we ought to wonder about the merits of a bombshell story when it begins "rumors are flying." But that's the less-than-solid underpinning of the big Daily News report, which owns both front and back covers this morning, that claims the Steinbrenner family could be looking to sell the Yankees. Where'd the Daily News get this? "Multiple baseball and finance sources." What exactly have did those sources tell the Daily News? That they're "hearing" "chatter" that the Steinbrenners "could" "look" to sell the team. It's not totally illogical. Hank and Hal don't love baseball like their old man did, and it'd be impossible for any ownership group to look at the ridiculous money paid for the Dodgers last month and not start salivating. George paid $8.8 million for the team back in 1973. If the Steinbrenners could get $3 billion for it, that's an annualized rate of return of roughly 16 percent. You couldn't beat that if you could print your own money. And here's the thing: the Yankees aren't getting less valuable. The Daily News story wants to paint a picture of an aging team with an uncertain future, but the on-field product is the least of the Yankees' assets. The brand is impenetrable, the stadium new, the merchandising strong, and most importantly, the TV deal is still laughably lucrative. The Steinbrenner kids are more into the business side than the baseball side? All the more reason to keep riding this horse as far as it'll go. It's very rare for the obscenely rich to decide, "You know what? This golden goose has laid enough eggs." "I just read the Daily News story. It is complete fiction. Me and my family have no intention to sell the Yankees and expect it to be in the family for years to come." A rumor about an inevitability, like a premature death announcement, can't be completely wrong. 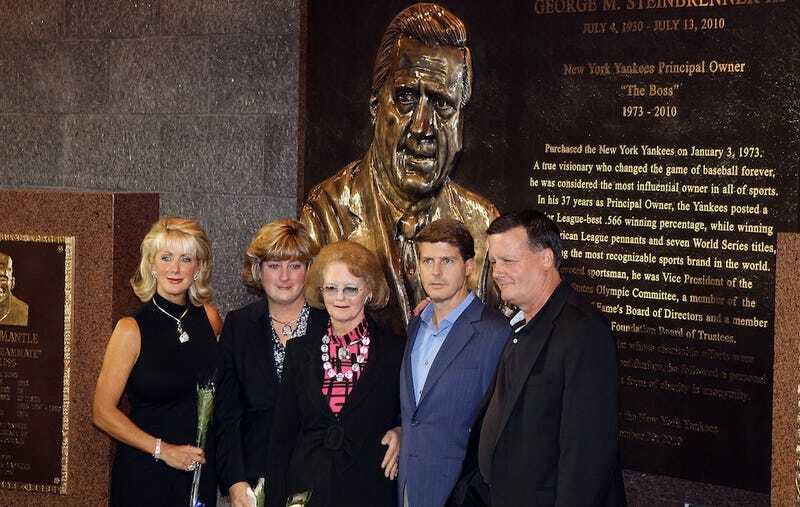 The Steinbrenners will sell the Yankees some day, just as Mort Zuckerman will sell the Daily News. But I wouldn't count on the former preceding the latter—at least the Steinbrenners are in a growth industry.